NMM 10044. 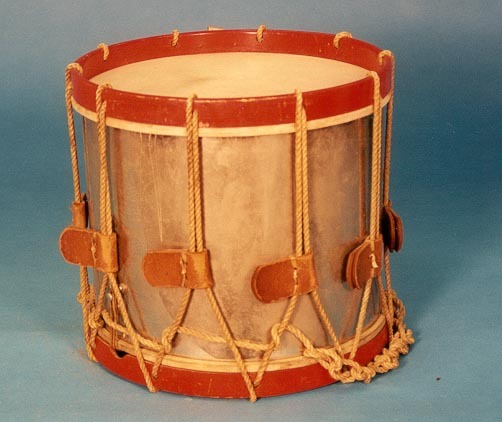 Side drum by Wilson Brothers Manufacturing Company, Chicago, ca. 1925. Paper label affixed inside shell, visible through vent hole: MANUFACTURED BY / Wilson Bros. Mfg. Company / CHICAGO. Tin shell. Ten leather tugs. Wood rims painted red. William F. Ludwig II Collection, 2001.